Throughout the year, the Bates Dance program brings nationally known dancers to campus as guest artists. These artists’ visits enrich the academic program and the cultural vibrancy of the college. Find out more about upcoming performances and find out more about the artists who have previously performed at Bates. Graham is a San Francisco based choreographer, performer, and teacher. James Graham Dance Theatre presents the work of James Graham and curates the work of others and has been presented at national and international venues. Graham combines varying disciplines to realize his artistic visions and engage his community. Graham’s works are built, partly through utilizing the movement language of Gaga, as a microcosm of larger life themes, while specifically dealing with our relationships to our bodies, self identification, global politics tied to personal politics, and Western/ American culture often seen through a Queered perspective. Graham received an M.F.A. in Dance from OSU in 2010 and graduated from UC Berkeley in 2005 with a B.A. in Theatre, Dance, Performance Studies. Castro is a Puerto Rican born director/choreographer making work in New York for 20 years. In 2009, she formed the interdisciplinary group, a canary torsi. Castro’s work borrows from dance, performance, theater, and visual art often utilizing interactive technology to form hybrid projects. The work takes different forms — performances, installations, online and site-based projects — negotiating complexities of sources, authorship, and practice with a team of collaborators (including the audience) to build the work as a communal act. Her work has toured nationally and internationally. Castro received her B.A. in Theater & Dance and Literature from Amherst College. In 2017, she received an honorary doctorate in the arts from her alma mater. Born in Mutare, Zimbabwe and based in NYC, nora chipaumire has been challenging and embracing stereotypes of Africa and the black performing body, art, and aesthetic. She is a graduate of the University of Zimbabwe’s School of Law and holds a M.A. in Dance and M.F.A. in Choreography & Performance from Mills College. She has studied dance in Africa, Cuba, Jamaica and the U.S. and has performed internationally in France, Italy, Japan, Senegal, Zimbabwe, and many other places. chipaumire most recently received the 2016 Trisha Mckenzie Memorial Award for her impact on the dance community in Zimbabwe. She is also a 2016 Foundation for Contemporary Arts grant recipient and a 2015 Doris Duke Artist. She was a Hodder Fellow at Princeton University, a United States Artist Ford Fellow, a MANCC Choreographic Fellow, and she is currently a fellow at The Institute for Creative Arts (ICA) at University of Cape Town. Video courtesy of the Bates Dance Festival. Sean is an award-winning San Francisco-based choreographer, dancer and writer. Recognized as the U.S.’ first acclaimed transgender modern dance choreographer, Dorsey has won audiences and accolades from San Francisco to New York with his powerful dance-theater. Dorsey set excerpts of his most recent work, The Missing Generation, a powerful dance-theater work that gives voice to longtime survivors of the early AIDS epidemic. Born and raised in Tokyo, Japan, Take moved to the United States in 1991 to study dance at the Juilliard School in New York City. Upon graduation, he was invited to join the Paul Taylor Dance Company, touring the world with them for 8 years.In 2005, he founded TAKE Dance. His visually lush and physically impressive work has been featured at festivals around the world. The work Mr. Ueyama will stage at Bates will be accompanied by original experimental music performed by Bates students and conducted by Bates professor Hiroya Miura. The co-founders of Delfos Danza Contemporanea & faculty members Escuela Profesional de Danza de Mazatlán, Mexico, Claudia Lavista and Omar Carrum are luminaries of Latin American contemporary dance. Lavista’s choreography has been praised by critics and presented in America, Latin America, Asia, Middle East and Europe. In 2009 Carrum became the first Mexican choreographer to receive the Guggenheim Fellowship. The couple are also favorite faculty members at the Bates Dance Festival. Julie, a native Texan, joins the Bates Faculty as a Visiting Professor. Most recently, she was an Assistant Professor of Dance and Head of the Dance Minor Program at the University of Wisconsin-Eau Claire (2011-16). Fox has performed with Houston Grand Opera, Ballet Chicago, Karen Stokes Dance, Stephan Koplowitz, Hopestone, Leslie Scates, and many independent artists on planet Earth. Her choreographic works have been presented in public and academic venues in Houston, Columbus, OH, and Eau Claire, WI. Her creative activity/research includes interdisciplinary dance making utilizing set and improvised material presented in traditional and alternative spaces, as well as written scholarship. Perhaps the world’s most sought-after teacher of Guinea-style African dance, Youssouf Koumbassa was born in Conakry,Guinea. For the past 25 years, Youssouf has taught countless devoted students around the world the beauty and energy ofGuinea dance. He teaches at conferences and workshops from Mexico to Amsterdam, California to Japan, yet maintains his position at the center of his African dance community in New York City. Youssouf returns to Guinea every year to lead a month-long immersion workshop for international students in drum and dance. Master drummer Namory Keita, born in Sangbarala, Guinea has been the lead drummer in his village since 2006, before traveling and performing world-wide. Namory moved to Portland, Maine in early 2015. He teaches drum classes, accompanies dance classes and performs regularly throughout New England. Last at Bates in March 2016, Juarez Moniz of Alberto Maranhao Theater Dance Company (CDTAM), Natal, Brasil, returned as part of his exchange with the Partner’s of the Americas. Meghan Frederick is a performer, choreographer and dance educator based in Brooklyn, NY. Her choreography has been shown in New York City at Triskelion Arts, Dixon Place, The Wild Project, Dance New Amsterdam, Greenspace Blooms, Open Performance through Movement Research, STUFFED at the Judson Church, and at Bates Dance Festival and Rutgers University. Meghan has taught dance technique at Tisch School of the Arts as a guest artist with BBMC, and at Bowdoin College as a guest artist with LPC, at Hunter College, Dance New Amsterdam, Gibney Dance Center, and 100 Grand, and technique, choreography, partnering, and reparatory at Rutgers University. She has recently performed with Liz Lerman, Denman Theater and Dance Company, Kendra Portier, Maya Orchin, Catherine Galasso, Carlye Eckert, Laura Peterson Choreography, Jules Bakshi and Brian Brooks Moving Company ’08-’14. Meghan appears in a dance film choreographed by Haylee Nichele with Derrick Belcher and Tim Fain and in a music video for Esmé Patterson’s ‘I’m No River’, choreographed by Carlye Eckert and directed by David Nuewirth. Meghan has also worked with Rasa Dance Chicago, Nicole Wolcott, Artichoke Dance Company, Tze Chun Dance Company, VaBang Dance Company, Bronwen MacArthur Dance Project and Elisa Davis and Alexis Liston. Meghan attended Hampshire College where she designed her own major combining dance and cultural studies. Meghan teaches Pilates in New York City. Claire Porter is a writer, dancer and choreographer who has performed in Scotland, Germany, Poland, Holland, Latvia, Korea and India and in the US at The Joyce Theater, Town Hall, American Dance Festival, Lucille Ball Comedy Festival, Bates Dance Festival, Jacob’s Pillow Dance Festival, Florida Dance Festival and The Kennedy Center with the American College Dance Association. Porter is a Guggenheim Fellow 2013 and has received NEA Choreography Fellowships, NJ State Council on the Arts Choreography Fellowships, NewMusicUSA Awards, a Rockefeller Foundation Residency at Bellagio Center Italy and Mid-Atlantic Choreography Fellowships. She choreographs for her Claire Porter / PORTABLES, other dance companies, faculty members and University Dance Companies. Claire performs her award winning Namely, Muscles, the poetic enactment of all the muscles of the body and then some, at body conferences, poetry festivals, medical schools and theater festivals, most recently for the UnitedSoloFestival in NYC 2016. Claire teaches Laban Movement Analysis for NYU Steinhardt and Creative Process for the new MFA program at Montclair State University. Sara Juli has been creating and performing innovative solo work since 2000. In NYC, Sara’s work has been presented by Performance Space 122, The Chocolate Factory Theater, Danspace Project, 92nd St. Y, Joe’s Pub as part of the Dancenow/NYC Festival, Joyce Soho, Bushwick Starr, and Dixon Place among others. Nationally, her work has been performed at American Dance Festival, Bates Dance Festival, Napa Valley Opera House, SPACE Gallery, Connecticut College, UC Riverside, Bates College, Artown Reno, IN’s Center for the Performing Arts, among many others. Her work has toured internationally to sold-out houses in The Netherlands, Australia, New Zealand, London, and Russia. Sara is a recipient of a 2015-16 New England Foundation for the Arts NEST Touring Grant and a New England Foundation for the Arts New England Dance Fund Grant. Sara also runs her own fundraising consulting practice advising arts organizations and individual artists. She was awarded the Arts Management Award from Brooklyn Arts Exchange in 2013 and is an Advisory Board member of The Field in NYC and Bates Dance Festival in Lewiston, ME. Shakia Johnson, born and raised in Springfield, MA, is a graduate of Pioneer Valley’s Performing Arts Charter High School and Dean College. She received her teaching artist certificate from the National Dance Institute in New York in 2009. Johnson has choreographed and directed more than 40 hip hop, modern, African and lyrical works that have been performed at Trenton Educational Dance Institute, Rider University, the Princeton School of Ballet and the Bates Dance Festival. She has performed for numerous hip hop events and has opened for concerts by Fat Joe, Jadakiss, 112, Charlie Baltimore, Kima from “Total” and Omarion. In 2005 she choreographed a hip-hop number for the Celtics/NBA half-time show. She has toured the U.S. and abroad dancing with Face Da Phlave Entertainment and Illstyle and Peace Productions. Johnson is an alumnus of BDF’s Young Dancers Workshop and was selected for BDF’s Emerging Choreographer program in 2006. She currently teaches Hip Hop Dance and Culture at Pioneer Valley Performing Arts High School, Mount Holyoke College and Smith College. Alexandra, originally from the Portland area, is a graduate of Columbia College Chicago, where she earned her BFA in Choreography. Since graduating, she has taught and performed dance in Chicago, St. Louis, New York and Portland. While in New York, Alexandra co-founded Swift Urban Movement Project, a non-profit dedicated to promoting healthy, active and social lifestyles through arts and recreation. While actively teaching, Alexandra is also diving back into creating by means of improvisation. Her work explores the self in relation to the Other – the terms by which we define ourselves in relationship to, against and in accordance with one another. Alexandra travels back and forth from Portland to New York to continue teaching, performing and working actively with Swift Urban Movement Project. She currently works as the Admissions Director/Operations Manager for the Bates Dance Festival. Stephan is an award winning director/choreographer/media artist known for his work on stage, film and site. His site work aims to alter people’s perspectives of place, site, and scale, all infused with a sense of the human condition and is concerned with the intersection of natural, social and cultural ecologies within urban and natural environments. Michael Burke, director of the Trinity/La MaMa Performing Arts Program in NYC and award-winning performance artist and Rakia Seaborn, Trinity/La MaMa Resident Guest Artist and accomplished performer and choreographer. Colleen is an independent dance artist who researches, choreographs, performs, and writes about Contemporary dance in Buenos Aires, Argentina. She is an activist for social justice issues in her community and has created an inseparable bond between this work and her artistic work. She received her BA in Dance and Anthropology from Bates College in 2014, and continues her education both inside and outside of academia. Cultural Anthropology is also at the root of Colleen’s work, as she utilizes research methods and sociopolitical discourse from this field of study. She has studied various techniques of Contemporary dance with United States artists such as Carol Dilley, Rachel Boggia, Nancy Starke Smith (Contact Improvisation), Kathleen Hermsdorf, and Darrell Jones; Mexican Omar Carrum (Piso Movil); Guinean Mafila Kouyate (Guinean dance); and Argentines Lucas Condro (Asymmetrical Motion), Gustavo Lesgart (Passing Through and Flying Low), Martin Piliponsky (Flying Low), and Emmanuel Luduena. She has performed in the works of Giltanei Amorim, Carol Dilley, Omar Carrum & Claudia Lavista, and the Urban Bush Women, among others. Colleen’s choreographed work has been presented in various performance venues and site-specific locations in Argentina and the United States. Colleen was recently on a teaching and performing tour throughout New England, during which she will present her latest solo work-in-progress titled “Me libero, me recuerdo, todo mientras tú lo observas”, a piece conceived during an artist residency in Buenos Aires in 2016. Created in 2013 by dancer and choreographer Lindsey Bourassa, Bourassa Dance is a contemporary-flamenco dance company and studio dedicated to the flamenco arts. As a dance company, Bourassa Dance strives to honor tradition while exploring and flexing the boundaries of flamenco through the interweaving of conceptual visions, diverse movements, multimedia and multi-genre dance works. As an educational space and studio, Bourassa Dance offers flamenco focused classes, workshops, and events. Roberto was born in Bari, Italy and trained at Scuola di Balletto Classico Cosi-Stafanescu (Reggio Emilia-Italy) and with Ecole Atelier Rudra Bejart Lausanne (Switzerland). Roberto is a graduate of the Centre National de la Danse, Pantin-Paris as a certified Ballet Teacher, where he was invited back as a Guest Artist to teach. He has taught a t DV8 Dance Company (England), and with Conservatoire de Dijon, the Conservatoire CRR de Montreuil and Ville d’Avray (Paris) and at the Conservatoire de danse de Biarritz-France. He has also performed and toured with Grupo Corpo (Brazil), Bejart Ballet Lausanne (Switzerland), Rambert Dance Company (London-UK), Ballet Biarritiz (France), Cie Marie-Laure Agrapart (Paris-France), La-Parenthese Christophe Garcia (Marseille-France), and Les Ballet Trockadero de Monte Carlo (USA) before coming to Portland Ballet as the director of the CORPS Program of Portland School of Ballet. His Choreography has been seen in PBC’s Boy Meets Girl, the PSO’s Peter and the Wolf(Discovery Series), and his Alice has been seen last Fall (2015) with the Portland Symphony Orchestra. Yasin is currently pursuing an MFA in modern dance at the University of Utah, with master’s thesis research focused on performativity of race, gender and sexuality through a critical theory lens. This embodied movement research informs other interests in social dance forms, pop culture and contemporary literature. While in Salt Lake City, Yasin performed at The Rose Wagner Center, choreographed, guest lectured in gender studies and dance, and participated in three screen dances. After the MFA, Yasin is interested in pursuing an open career trajectory that involves performing, teaching and choreographing in a learning community, similar to Bates. festivals, including France, Germany, Mexico, Switzerland, and the United States. The exciting and athletic dancers are known for their vast range of repertory, from narrative classical to Brazilian Popular dances. CDTAM’s 2016 Maine tour is sponsored by non-profit Cottage Street Creative Exchange, inc., housed in artistic director Debi Irons’ Art Moves Dance Studio building. Laura is a NYC based dance artist creating works that challenge the limits of physicality and redefine performance spaces. Her work is influenced by the visual art of the 1970’s and since 2007, has included visually stunning installations that are developed simultaneously with the choreography. She creates paintings, drawings, and sculptures based on the concepts she is working with choreographically. Her abstract dances are highly physical and precise, and often employ repetition, geometric designs and mathematical patterns. Laura’s performance installations have included large-scale paintings, 1000 sq ft of living lawn, a 16ft tall paper sculpture, wall-to-wall carpet, 1500 ft of foam tubes, and other giant amounts of materials. Laura has had residencies and commissions nationally and internationally for the last 9 years. Her work has performed in the US, Europe and South America including The Kennedy Center, Lincoln Center Out-of-Doors, Jacob’s PillowInside/Out, et AL. Laura has taught dance and created repertory for dance programs in the US including Princeton, Rutgers University, SUNY Brockport, Marymount Manhattan, Hunter College, and many others. Melinda, dance writer and movement researcher, is the author of Composing While Dancing: An Improviser’s Companion and a co-editor of Contact Quarterly, the dance and improvisation journal, since 2005. For CQ, she has edited chapbooks on the Anatomical Release Technique of Nancy Topf, New Dance Media, on dance and technology, and Forgetful Snow, experimental choreographer Melinda Ring’s latest work. Melinda co-curates the SEEDS (Somatic Experiments in Earth, Dance + Science) festival of arts and ecology at Earthdance in Plainfield, MA. She has taught anatomy & kinesiology and writing about dance at Wesleyan University (CT) and currently is Visiting Lecturer of dance at Bates College, where she teaches anatomy & kinesiology and dance composition. She holds an MFA in dance from Bennington College (VT). Melinda was a visiting Lecturer at Bates in Winter 2016. Young has her B.A. in sociology and women’s studies from Harvard and her M.F.A. from the University of Illinois. She is nationally recognized as a master teacher guesting in colleges around the country, as well as at the Bates Dance Festival, Florida Dance Festival and the International Open Look Festival in St. Petersburg, Russia. Her depth of experience has inspired her to seek the connections between different dance forms and genres and to develop herself as a versatile, open-minded artist. For the past 20 years, Cathy has focused on creating her own work, a dynamic mix of styles and dance forms that intermingles jazz, modern, contact improvisation, social dance and gymnastics. She is now the Director of the Dance Division for The Boston Conservatory. Shamou has been teaching music to people of all ages and abilities since 1990. Trained at Berklee College of Music, he teaches group workshops and individual lessons in the hand drumming techniques of the African Diaspora and the Middle East; stick technique for Latin and jazz percussion and drum set; rhythmic studies in world music, music theory and vocal music. Past residencies include Music Director for the Bates Dance Festival’s Youth Arts Program; ongoing workshops at ODC/San Francisco and Alonso King’s Lines studio; Harvard and Boston Universities, Wellesley College; the Boston area public schools (K-12); and ongoing independent workshops in New England and the Bay Area. Danté Brown has a BA from Wesleyan University, and his MFA in Choreography and Performance from The Ohio State University. Danté has worked with artists such as Esther Baker-Tarpaga, Christal Brown, David Dorfman, Kendra Portier, Noa Zuk, Mark Dendy, among others. Since founding Dante Brown|Warehouse Dance in 2010, DB|WD has shown work at Columbus Dance Theater, Dance Gallery Festival, Dixon Place, GAP Green Building, LaMaMa Moves Festival, Movement Research at Judson Church, The New Museum, Sam Houston State University, Triskelion Arts, The Wild Project, Wexner Center for the Arts, and Your Move Dance Festival. Dante has taught a range of classes at Broadway Dance Center, Dancewave, Dance New Amsterdam, East Village Dance Project, Gibney Dance Center, Kenyon College, Middlebury College, Oberlin College, The Ohio State University, and Peridance Capezio Center. Dante was a visiting Lecturer at Bates in Winter 2015. Sara Juli has created and performed solo work in New York City since 2000 in venues such as Performance Space 122, Danspace Project, Movement Research at Judson Church, Joe’s Pub and at the American Dance Festival. Her first full-evening solo show, The Money Conversation, toured nationally a nd internationally from 2007-2012 to sold-out houses in The Netherlands, Australia, New Zealand, London, Russia and around the United States. Her fundraising consulting practice, Surala Consulting, advises over 30 National artists and non-profits on strategic fundraising solutions. Sara was awarded the Arts Management Award from Brooklyn Arts Exchange in 2013 and is an Advisory Board member of The Field and Bates Dance Festival. She has a BA in Dance and Anthropology Skidmore. After 15 years in NYC, Sara relocated to Portland, Maine. Sandra Parker is an Australian choreographer and teacher. She has created a body of 15 full-length works and over 30 short pieces during her career, including multi-disciplinary theatre pieces and installation works for gallery spaces. Recent projects include: Playhouse Guandong Modern Dance Company, China 2007; Out of Light, Sandra Parker Dance, 2009; Transit, Melbourne Festival 2012, Faits d’hiver, Paris, 2013, The Recording, Dance Massive 2013; Three Angles, a single channel, interactive video installation presented at the Centre for Contemporary Photography, Melbourne, Australia, 2014 and Three Frames, presented at AUX Performance Space, Vox Populi Gallery, Philadelphia, USA, November 2013. Sandra Parker holds a PhD from the University of Melbourne. Brother(hood) Dance! is an interdisciplinary duo that seeks to inform its audiences on the socio-political and environmental injustices from a global perspective, bringing clarity to the same-gender-loving African-American experience in the 21st century. Brother(hood) Dance! was formed in April 2014 as a duo that research, create and perform dances of freedom by Orlando Zane Hunter, Jr. and Ricarrdo Valentine. We have performed our works at FiveMyles, Center for Performance Research, B.A.A.D! (Bronx Academy of Arts and Dance), VCU-The Grace Street Theater, DraftWork at St. Marks Church, JACK, Movement Research at Judson Church, Colby College, Denmark Arts Center and other venues. Founded by Cookie Harrist and Delaney McDonough, Hio Ridge Dance creates queer, risky, place-based dance performances in rural Western Maine. Cookie and Delaney are the Directors of the Denmark Arts Center, curating dance, music, theater, and visual art performances and residencies from near and far. They also teach regularly throughout Maine, with students ranging from age 4 to age 80. Michael Foley has been involved in the professional dance world for over 20 years. He started dancing at Bates College under Marcy Plavin where he earned a BA in English and Spanish. Michael has performed, internationally, in the companies of over two-dozen choreographers, including Doug Elkins, Kevin Wynn, Seán Curran and Eun Me Ahn. He has taught workshops and master classes throughout the United States, Europe, Central America, The Caribbean and Mexico, and has taught on the faculties of New World School of the Arts, Bates College, Florida Dance Festival, and Dance Space Center in NYC. He also teaches technique and has set choreography for the Cirque du Soleil organization. Michael has maintained choreographic residencies at the University of Texas, University of Florida, Cornish College of the Arts and Harvard University, among many others. His choreography can be found in the repertories of dance companies throughout the U.S., as well as in Cuba, Mexico and Italy. He formed his own company, “Michael Foley Dance”, in 1994 touring the U.S. and Europe. Michael has a 26-year affiliation with the Bates Dance Festival where he has been a student, emerging choreographer, faculty, and co-director of the Young Dancers Workshop from 1996 – 2007. He holds an MFA in Dance from the University of Washington and is, currently, an Associate Professor of Dance at the University of South Florida. He also directs a yearly study abroad program in Paris. In 2009 Michael was a Fulbright Scholar working with Delfos Danza in Mazatlan, Mexico. (Photo Credit: Kenneth Rothman Zane). Jesse is an interdisciplinary artist working in video, performance, and sculpture. His work engages the automotive industry as a manufacturer of human identity, accessing automotive history as an index of both cultural progress and social development. Jesse has exhibited work both nationally and internationally in venues such as the Getty Institute, Los Angeles; el Museo Tamayo, Mexico City; the Portland Institute for Contemporary Art, Oregon; the Banff Center, Canada; Filmbase, Ireland; Human Resources, Los Angeles; Michael Strogoff, Marfa; el Museo de Arte Moderno de Santander, Spain; Drift Station, Omaha; Spirit Abuse, Albuquerque; Fugitive Projects, Nashville; the Bakersfield Museum of Art, California; the 21c Museum, Louisville; the Knockdown Center, New York, High Desert Test Sites, Joshua Tree; and MOCA Indianapolis. Jesse’s work has been written about in publications including Artforum, Art Papers, ART LTD, Art Cards, ArtFCity, Frieze Magazine, NY Arts Magazine, the Huffington Post, and the New York Times. Jesse lives and works in Bakersfield, CA. Sean Dorsey is a San Francisco-based choreographer and dancer. Celebrated as the nation’s first out transgender modern dance choreographer, Dorsey has won audiences from San Francisco to New York with his powerful dances that provide a window into transgender and queer experience. Dorsey has been awarded two Isadora Duncan Dance Awards, the Goldie Award for Performance and was named “San Francisco’s Best Dance/Performance Company” by the SF Weekly. Most recently, Dorsey was named in Dance Magazine’s top “25 to Watch.” Dorsey is also the founder and Artistic Director of Fresh Meat Productions, the nation’s first transgender arts nonprofit creating, presenting and touring year-round transgender arts programs. THE MEDIAN MOVEMENT is the artistic intersection between Xan Burley + Alex Springer serving as a vessel for their collaborative choreography, performance, and teaching. Their work has been presented in NYC at 92Y, DanceNOW[NYC] Joe’s Pub, the TANK, Triskelion Arts, Movement Research, and Brooklyn Arts Exchange (2011 Space Grant recipients), among others. They were selected as 2013-14 Artists-in-Residence at University Settlement and have been commissioned artists at various universities, schools, and companies throughout the U.S. Burley. Originally from Atlanta Georgia, Laquimah VanDunk studied at DeKalb School of the Arts and the Atlanta Ballet Centre for Dance Education. She is a recent M.F.A graduate in Modern Dance from the University of Utah and holds a B.S. in Sociology from Austin Peay State University. Laquimah has performed in works by David Dorfman Dance, Lisa Race, Pamela Geber-Handman, Bridgman|Packer Dance, Raja Feather Kelly and Scotty Hardwig. Her choreography has been shown around the country including Tennessee, Salt Lake City, Kunst-Stoff Arts in San Francisco, Chez Bushwick in New York City, Arizona State University, Bates Dance Festival, Bates College and Middlebury College in Vermont. Laquimah’s work as a dancer, teacher and choreographer, is influenced by the multiple communities she weaves in and out of. A BIG THANK YOU to the dancers for your willingness to discover, play and transform. Special thanks to Professor Rachel Boggia, Professor Carol Dilley, Cheasong and the Bates College Dance Department. UBW galvanizes artists, activists, audiences and communities through performances, artist development, education and community engagement. With the ground-breaking performance ensemble at its core, ongoing initiatives like the Summer Leadership Institute (SLI), BOLD (Builders, Organizers & Leaders through Dance) and the Choreographic Center, UBW continues to affect the overall ecology of the arts by promoting artistic legacies; projecting the voices of the under-heard and people of color; bringing attention to and addressing issues of equity in the dance field and throughout the United States; and by providing platforms and serving as a conduit for culturally and socially relevant experimental art makers. Erin Gottwald has performed and choreographed throughout the United States, most notably at Dance Theater Workshop/ New York Live Arts, St. Mark’s Church, Dance Unlimited in Juneau, AL, Conduit Dance in Portland, OR, The Cowell Theater in San Francisco, CA, Dancer’s Workshop in Jackson Hole, WY, and the Philadelphia Fringe Festival in Philadelphia, PA. She has had the pleasure of dancing in companies throughout the country including David Parker & The Bang Group, Sokolow Theatre Dance, Digby Dance, Hole Dance Films, Nicola Hawkins Dance Company, Prometheus Dance, Paufve Dance, EgoArt, Jody Weber Dance, Dandelion Dance Theatre and Erin + John. She has participated in dance residencies at The Yard in Martha’s Vineyard, MA, at the Putney School in Putney, VT and at the Greensboro Ballet in Greensboro, NC and has choreographed for film and television including USA’s Royal Pains, Logo TV’s Eden’s World, The Gap and Macy’s. Originally from Stoneham, Massachusetts, Erin received her formal training for 11 years at the Boston Ballet School and with choreographer Holly Fairbank in her mountaintop summer studio in Franklin, NH. She holds a BA in Theater from Bates College and a BA Hons from the London Contemporary Dance School in London, England. She has taught dance for over 15 years at Peridance, Bates Dance Festival, Boston Ballet, Berkeley Ballet Theatre, National Dance Institute of Santa Fe, Julia Morgan Center for the Arts and The Dance Complex. Since 2005, she has taught at Spoke the Hub Dancing in Brooklyn, NY, where she is Co-Director of the Young Artists Program and Producer/Curator of the annual performance series, Gowanus Guest Room, which features performances of nationally recognized artists. Postell Pringle is a playwright, hip-hop artist/producer, actor and as of late, director. He most recently appeared as the title role in the Q Brothers’ Othello: The Remix (London, Germany, Edinburgh). Other Q Brothers collaborations include I <3 Juliet (Conn College, Eugene O’Neill Ctr), Funk It Up About Nothin’ (Chicago, Edinburgh, Australian tour, London) and The Bomb-itty of Errors (Royal George, American Stage). Broadway credits include A Free Man of Color (Lincoln Center Theater). Off Broadway credits include: The Seven (NY Theatre Workshop); Romeo and Juliet (Lucille Lortel); Song for New York (Mabou Mines) and Hoodoo Love (Cherry Lane Theatre). Regional, Off off Broadway and touring credits include:Broke-ology (Kansas City Repertory);The Old Settler (Triad Stage); The Seven (La Jolla Playhouse);A Soldier’s Play (Arkansas Repertory); Master Harold…and the Boys (Fleetwood Stage); Lobby Hero(Gallery Players); Hercules in High Suburbia (La MaMa E.T.C.) and Macbeth (American Shakespeare Ctr). Film credits include: 14085, Unknown Soldier, We Follow the Rules, The Edge of Town andOrange Bow. Television credits include: Rescue Me (FX), Law & Order, Law & Order: Criminal Intent (NBC) and Guiding Light (CBS). Postell is one of four ‘Q Brothers’, a company dedicated to the creation of new musicals, recordings and multi-disciplined productions using the tools of hip-hop. Postell earned a BA from Bates College and studied acting at the Royal Academy of Dramatic Arts, London. As a hip-hop artist/producer, he has several albums and—along with JQ, GQ and Jackson Doran—is a member of the Chicago band The Retar Crew, who have toured extensively and have 5 free albums available on their website, www.theretarcrew.com. Henderson is the artistic director of elephant JANE dance. Heidi grew up in Skowhegan, Maine, spent some time in New York City, and now lives in Wakefield, Rhode Island. She is a four-time recipient of the Rhode Island State Council on the Arts Choreography Fellowship for excellence in the field. Her work has been performed in London, Korea, NYC, at Jacob’s Pillow in Mass., The Flynn Space in Burlington, VT, The Bates Dance Festival in Lewiston, Maine, and at many other places in New England. Heidi danced in the companies of Bebe Miller, Nina Weiner and Paula Josa-Jones, and with Colleen Thomas, Peter Schmitz and Sondra Loring. She is a contributing editor at “Contact Quarterly: a vehicle for moving ideas.” Her book, “Growing Place,” contains interviews with artists of the Bates Dance Festival. An interview about Heidi’s choreographic process can be found on Movement Research’s Critical Correspondence. She teaches regularly at the Bates Dance Festival. She has taught at Dance New Amsterdam, DanceSpace Inc. in NYC, NYU’s Tisch Dance Summer Festival, Moving Target Boston, and in many residencies at colleges in the US. She has been on the dance faculty of Amherst College, Colby College, Hampshire College, The University of Massachusetts at Amherst and Roger Williams University. At Connecticut College, Henderson teaches Modern Technique, Composition, Improvisation, Anatomy, and Dance Writing. Andrew Adams began his circus career at the age of 12 with Circus Smirkus in Vermont. Upon graduating with a theater major from Bates, he went to Chicago and began performing with the Midnight Circus. He has performed with Teatro Zinzanni in Seattle and San Fransisco and Cirque du Soleil “Zumanity” in Las Vegas. He specializes in aerial straps. A profound educator and performing artist, Robin Sanders is a captivating communicator and her energy and passion are infectious. Though originally from Little Rock, Arkansas, Sanders‘ military upbringing allowed her to travel and live throughout the U.S. and abroad. Her rich and eclectic experiences and community helped to influence her artistry and diversify her appeal. Her credentials include over 13 years of professional experience in performing and public speaking and a solid academic background. Sanders received her Bachelor of Science in Communication Studies from Liberty University in 2001 and Masters of Science in Human Services from Capella University in 2011. Nadine’s School of Dance, Houston Middle School, Briarcrest High School, Shelby Oaks Elementary, Promise Academy, and House of Talent. She travels as a choreographer and speaker and has shared her knowledge and passion for hip hop dance & culture and African inspired movement in guest artist residencies and master classes at Bates College in Lewiston, Bowdoin College, Colby College, University of Memphis, Vanderbilt University, Seattle’s Velocity Dance Center, Collage Dance Collective, and New Ballet Ensemble and School. Sanders’ body of work includes both commercial hip hop dance and a collective of cross disciplinary works that explore the interface of hip hop dance with other arts with a major focus on African originated dance. Sanders began her cross-disciplinary work with Memphis’ Watoto de Afrika and continued on with New Ballet Ensemble and School before founding Out Loud Artistry (OLA). Through OLA, she and her husband combined their love for the arts and community to fulfill a mission of using the arts as a means to inspire social change. The organization has made quality investments in the arts community through community classes, summer camps, and collaborative works with organizations such as, but not limited to Project Motion, Hattiloo Theater, Bridging Souls Productions, and KIX of Homestead, Florida. Alberto is the co-Artistic Director of the Murray Louis and Nikolais Dance Company as well as the director of The Nikolais/Louis Foundation for Dance and Assistant to Mr. Louis. Tito was born in Bilbao Spain where he was the Spanish National Champion in figure skating. His career turned to dance in 1985 when he made his debut as a lead soloist with the Nikolais Dance Theater. He is the Reconstruction Director of the Nikolais/Louis repertory and has staged their work on university and professional dance companies around the world. He is currently choreographing for champion ice skaters. As the Chief of Program and Pedagogy, Marc Bamuthi Joseph oversees the organization’s performing arts program as well as signature initiatives such as YBCA Fellows and the YBCA 100. Marc is a 2017 TED Global Fellow, an inaugural recipient of the Guggenheim Social Practice initiative, and a proud honoree of the United States Artists Rockefeller Fellowship. He is also the winner of the 2011 Herb Alpert Award in Theatre, and an inaugural recipient of the Doris Duke Performing Artist Award. In pursuit of affirmations of black life in the public realm, he co-founded the Life is Living Festival for Youth Speaks, and created the installation “Black Joy in the Hour of Chaos” for Creative Time. An imminent addition to this practice is the 2018 commission by the Brooklyn Museum to produce “the restless dead”, a series of site-specific performed elegies for Brooklyn-born ghosts. Joseph recently completed a new libretto with Bill T. Jones for the Opera Philadelphia. His latest evening length work, /peh-LO-tah/, was commissioned by the Kennedy Center for the Performing Arts, and has been presented at leading cultural institutions across the nation. Kwame Azalius Ross is an artist, musician, choreographer, and director. As a performer he has worked with Africa 1 Dance Theater, Children of Dahomey, Viva Brazil, Forces of Nature, Song and Dance Company of Mozambique, the National Dance Theater of Nigeria, and Urban Bush Women. His leadership spans as former Associate Artistic Director of Urban Bush Women, to former Cultural Ambassador of Egypt, to presently, Founder and Artistic Director of KAR Dance Project. Mr. Ross has been commissioned by numerous organizations Long Island University, Florida A&M University, Tulane University, Lincoln Center Festival, Carnegie Hall, St. Marks Church Dance Project, Riverside Church, Cutno Artist Group, and Cairo Opera House Modern Dance Theater. Kwame A. Ross’ work is based on the belief that every soul can express itself, when given the moment and platform to voice their opinion. It is his intention to provide such platforms for expression for freedom of mind, body and spirit. Mr. Ross has studied extensively in four continents, giving a dialogue of expression of unlimited expression. Wimberly, a classically trained percussionist and composer, holds both a Bachelors of Arts Degree in Music from the exclusive Baldwin Wallace Conservatory, and a Masters Degree in Music from the prestigious Manhattan School of Music. But it is his study of West African percussion that makes his compositions most unique and sets both audiences and critics on fire. Michael has defied categorizat ion by mixing textures, integrating European, ancient African rhythms, and modern American music creating a muse of sound that is as electrifying as it is multicultural. He has recorded, performed and toured with many jazz artists such as, Charles Gayle, Jean Paul Bourelly, William Parker, Steve Coleman’s 5 Elements, David Murray Octet, Teramasa Hino Quartet, Onaje Allen Gumbs, New Music Pioneer Paul Winter Consort, John McDowell and Mama Tongue, Funk Legends George Clinton and the Parliment Funkedelics, The Boys Choir of Harlem, Berlin’s Rundfunk Symphony Orchestra, Vienna’s Tonkuntsler Symphony Orchestra, Yakima Chamber Orchestra, Rock Icons Vernon Reid, Henry Rollins, Blondie, Mickey Hart and R&B sensations D’Angelo and Angie Stone. Michael’s compositions appear in such luminary dance companies as Urban Bush Women, Joffrey Ballet, Alvin Ailey, Philadanco, Forces of Nature, Ailey II, Complexions, Ballet Noir, Alpha Omega, Purelements and The National Song and Dance Company of Mozambique. the real: kendra loves dance. loves to dance. heartbreakingly. movement is integral. its the way we first learn. unspoken language. secret codifications. secret agreements. without a common tongue, the skin, the pupils, the heart: speaking on their own. make things. do things. see things. listen. the rub: Originally from Columbus, Ohio; Kendra was born and raised commune style. She trained and performed with BalletMet and later received a BFA in dance from the Ohio State University, but not before she pursued professional photography, worked for the Smithsonian Institute, and served briefly in the US Army… we all make “odd” decisions at one point or another, or REPEATEDLY. Since relocating to NYC, she has had the fortune of working with brilliant beings such as Lisa Race/Scott Cohen, Jennifer Nugent, White Road Dance Media, 5’4”, Hoi Polloi, Nicole Wolcott Dance, and collaborations with Launch Movement Experiment, In 2008, Kendra created and implemented “dancepants”, a donation based community dance program dedicated to experimental pedagogies and in support of the Brooklyn based dance space, Triskelion Arts. She has been a guest artist and/or presented work at a variety of colleges, universities, dancespaces, rooftops, and festivals; newly under the moniker BandPortier. Currently, Kendra is on faculty at Hunter College and Dance New Amsterdam, and is performing with Vanessa Justice Dance, MVWorks, Michael and the Go-Getters, Annie Kloppenberg Dance, and, most recently, David Dorfman Dance. Headlong Dance Theater was founded by Co-Directors David Brick, Andrew Simonet and Amy Smith in 1993. From 1993 to 2012, David, Andrew and Amy collaborated in the creation and performance of all Headlong’s dances and share credit for all the company’s work. Starting in 2013, David and Amy share the Co-Director duties, and Andrew is pursuing other non-artistic work. Rather than relying on a single dance style or technique, Headlong develops a unique movement vocabulary for each new piece. The Co-Directors’ eclectic movement backgrounds include modern, ballet, jazz, tap, contact improvisation, releasing techniques, theater, sports, sign language, Bharata Natyam, and Ghanaian dance. Drawing on these sources, as well as the potential movements of audience participants and the wonderfully idiosyncratic movements of non-professional performers, we create movement vocabularies that both reflect and comment on the subject matter we are exploring. Dance choreographer Niles Ford is the founder of the Urban Dance Collective. This production of In Search of the Invisible People, in collaboration with fellow choreographer Nathan Trice, is the culmination of several years of research and exploration into the urban dance scene from the ’s70 and ’80s. Owing to the effects of the aggressive actions by the Giuliani administration and the advent of AIDS, the New York House scene became an endangered species forced to go underground in order to survive. Ford’s hope in revisiting this difficult time in the dance community is to bring awareness to the crippling effects of the mayoral resurrection of the Cabaret Licensing Laws and pay homage to a lost generation of dancers, dj’s and musicians. Ford holds an MFA from New York University’s Tisch Dance Program and a BFA from the University of the Arts. He began his professional dance career in 1977. In 2003 his piece, A Dream Deferred, was performed at PS 122 and received critical acclaim from New York Times’ reviewer, Jack Anderson. His 30-plus years in the professional dance world have filled his dance card with such note worthy names as the Boston Ballet, Bill T. Jones, Ron Brown, Gabri Christa’s dance on film project Savonetta, Danny Sloane and Company, the Rod Rogers’ Dance Company, Dance Theatre of Harlem, Philadanco, and a recent collaboration with Marlyse Yearby on her piece, Brown Butterfly, a tribute to boxer, Mohammed Ali. Throughout his career, Ford’s work has received grant support from the Jerome Foundation, NY State Council for the Arts, the Harkness Foundation for Dance and the Puffin Foundation. He has also received grant awards from the Lower Manhattan Cultural Council and the Asian Cultural Council. In 1998 Ford was granted a residency at Djerassi. And for his outstanding performance in Merian Soto’s, Historias, Ford was awarded the prestigious Bessie Award in 1993. Barnes is a New York based choreographer and performer. She founded Monica Bill Barnes & Company as a contemporary dance company with the mission to celebrate individuality, humor and the innate theatricality of everyday life. The company has been presented in over twenty venues in NYC including Danspace Project, Symphony Space, 92nd Street Y, Dancenow/NYC, Fall for Dance at New York City Center, and in thirty cities throughout the US. She has created twelve evening-length dance works, numerous site-specific events and several cabaret numbers for her company. Recent commissions include Another Parade, commissioned by the 92nd Street Y Harkness Dance Festival, I feel like commissioned by Dancenow’s 10 Year Anniversary Project, and Game Face presented by Lower Manhattan Cultural Council’s SITELINES Festival. Boggia served as a Visiting Assistant Professor in Dance and Acting Director of Dance during the 2010–2011 academic year and has been on faculty at Wesleyan University, Dickinson College, and The Ohio State University. She brings with her a BS in Neurobiology from Cornell University and an MFA in Choreography and Technology from The Ohio State University. She specializes in multidisciplinary collaboration with scientists, dance documentaries and multi media performance. Rachel continues to choreograph and perform around the east coast and has performed professionally in the work of Risa Jaroslow, Vanessa Justice, Marlon Barrios Solano, and Karl Rogers. She currently is a Full Time Assistant Professor of Dance at Bates College. The Bates Dance Festival presented Gregory Maqoma’s Beautiful Me in residency: October 11-17, 2009 and a performance: Friday, October 16 at 8:00pm. In Beautfiul Me Gregory Maqoma, one of South Africa’s leading choreographers, attempts to define, redefine and profess his own identity in relationship to history, humanity and nature. Maqoma begins with movement, text and music contributed by three master choreographers who have had a great influence on him: Akram Khan, contemporary Kathak: Faustin Linyekula, visual dance-theater: and Vincent Mantsoe’s Afro-Fusion. Through layering these distinct and diverse styles with his own unique lightness and humor. Beautiful Me becomes a living self-portrait and provocative exploration of kinetic African identity. Accompanied on stage by four exceptional South African musicians (violin, cello, sitar and percussion) simple lighting and set design, Beautiful Me speaks honestly and directly about the process of finding one’s authentic voice. Gregory Maqoma is founder and artistic director of Vuyani Dance Theatre in Johannesburg, South Africa. He received his training both in South Africa and In Belgium. As a Choreographer, Teacher, Dancer, Artistic Consultant and Creative Director, he has taught and presented work in the Netherlands, United Kingdom, Sweden, Switzerland, Mexico, Finland, Burkina Faso, Austria, Nigeria, France, Senegal, Norway, Belgium, Germany, US and South Africa. He has won several awards, accolades and nominations in South Africa and Internationally including FNB Dance Umbrella Choreographer of The Year, Standard Bank Young Artist of The Year, Rolex Mentor and Protégé Award Finalist, Daimler Chrysler Choreography Award Finalist, Gauteng MEC Award for Choreography. Maqoma also serves as Associate Artistic Director for Moving Into Dance and as Artistic Director of The Afro Vibes Festival in the Netherlands. He was the Creative Director of Gauteng Carnival 2007. He is the founder member of MUiSA (Multi Arts Initiative Of South Africa). He teaches at several institutions in South Africa, Europe and US. Adele Myers’ formative life as a mover began with ballet, track and field events, balancing on top of big red oil drums while rolling down steep hills, and other fearless feats of childhood dare deviltry, all of which shaped her vision as a dancer, choreographer and educator. She earned a BA with a concentration in Dance from Sarah Lawrence College where she studied choreography and modern dance technique with Viola Farber, a founding member of the Merce Cunningham Dance Company. In 1992, Adele moved to New York City to dance with Joy Kellman/Co. for six years and performed as a guest artist with various companies including Momix. She received an MFA in Dance from Florida State University (FSU) in 2000 where she met Jawole Willa Jo Zollar, Artistic Director of Urban Bush Women (UBW). Adele served as Jawole’s choreographic assistant for several UBW residencies and after graduating, assisted in resetting work on the Alvin Ailey American Dance Theater with Jawole. Adele’s time at FSU sparked the formation of Adele Myers and Dancers. From 2000-2002, Adele was an Assistant Professor of Dance at Tulane University. Subsequently, she earned an MA and PhD (ABD) in Performance Studies from New York University (NYU) in 2005. From 2006-2013 Adele was an Assistant Professor in the Dance Department at Connecticut College. In 2015, she served as a guest artist in the Wesleyan University Dance Department and is now teaching at New World School of the Arts in Miami. Miller holds a degree from the Imperial Society of Teachers of Dance in Latin American and Modern Ballroom. He teaches classes in social and competitive Ballroom and Latin American dancing in both American style and International style, as Argentine Tango, Swing, Salsa, turn of the century social dance and the history of social dance in America. Currently, Laurence teaches anew program called ‘Musical Chairs TM* at the Barron Center Nursing Home Hospital and St. Joseph’s Manor Rehabilitation Residence, both in Portland, Maine. Laurence’s professional performance history came to life in 1982 as guest performer with the cast of ‘Four Kicks’ at the F. Scott Fitzgerald Theater in Washington DC, two years running. He also performed in ‘Le Bourgeois Gentilehomme’ at Boston Symphony Hall with the Handel-Haydn Society, directed by Christopher Hogwood, and ‘A Chorus Line’ with the Seacoast Repertory Theater Co., directed by James Beaumont, just to list a few. Laurence also has earned, with his professional dancesport partner, Gail Rundlett, the title of New England Latin American Dance Champion, North American Rising Star Standard, along with other USA and North American titles. Laurence inspired and was instrumental in creating ballroom dance programs for social dancing and competitive dancing at Bates, Bowdoin, Colby and Middlebury Colleges. Tania Isaac is one of the guest choreographers who created work for DANC 253 Repertory Performance for Fall concert of Professional Works in November 2008. She is originally from St. Lucia and is currently based in Philadelphia. Her company, Tania Isaac Dance, has presented work throughout the U.S., Japan, England and the Caribbean. She is a recipient of a 2004 Rocky Award for her evening length work home is where I am as well as for her solo performance in Rennie Harris’ Facing Mekka. Tania has taught at Temple University and Bryn Mawr College and given workshops and classes at Matsuyama and Ehime Universities, Michigan State and Rowan College. She is a Commonwealth Speaker with the Pennsylvania Humanities Council and has been a guest artist-in-residence at University of Wisconsin-Madison, Ohio State University, Virginia Commonwealth University and Bennington College. Tania is a former member of Rennie Harris Puremovement, Urban Bush Women and Li Chiao-Ping Dance. Tania is a regular artist and teacher at the Bates Dance Festival. Kellie Lynch also created works for DANC 253 Repertory Performance performed in Fall concert of Professional Works in November 2008.She holds a Bachelor of Arts in dance performance from Rhode Island College (’03) and a Master of Fine Arts in dance from Smith College (’07). She currently dances with Adele Myers and Dancers in NYC and Wire Monkey Dance in Holyoke, MA. As a freelance dance artist, Kellie has been seen dancing for Bronwen MacArthur, Shannon Hummel/Cora Dance, Heidi Henderson/elephant JANE, Freedman/Coleman Dance, Robin Prichard, Cathy Nicoli, Melody Ruffin Ward and Angelica Vessella among others. Within the past year and a half, Rhode Island College, Springfield College, Bates College, Providence College, and the Taft School in Connecticut have commissioned her choreography. Kellie is also a founding member of Elm City Dance Collective in New Haven, CT, a non-profit organization dedicated to engaging the creative community through classes, workshops and performances. When she’s not in New York City and Massachusetts, Kellie is rehearsing and choreographing for Elm City Dance Collective and working toward her full certification in STOTT PILATES®. In addition to her artistic and scholarly work, Jody Weber served as the Co-Executive Director of Green Street Studios Center for Movement and Dance in Cambridge from 2000-2005 where her responsibilities included grant writing, program development, fundraising and daily operations. She is responsible for developing and implementing an array of programs in Washington, DC through Glen Echo Park and has served as an adjudicator for the Somerville Arts Council and the Cambridge Arts Council. McArdle came to Bates from NYC for the Fall semester as Resident Scholar/Artist. She taught (270 Rep Styles) and choreographed a piece for the Fall Concert. A native Californian, Heather began her movement career with gymnastics. She graduated from Cal State University Long Beach with a BFA in dance. Her most influential mentors include Keith Johnson, Jacques Heim & most notably Bella Lewitzky. She joined the professional world of dance with the hyper physical dance troupe Diavolo Dance Theater. Heather has spent the past five years traveling around the world with Bill Young, and has been working for David Dorfman for the past three plus years. She is on faculty at Dance New Amsterdam and teaches residencies in NY and around the country. Heather has been presenting her own solo choreographic works at loft showings in NYC and random Brooklyn spaces. Blueprintviolation is her latest group project that involves a troupe of eclectic artists from all corners of the world. In addition to the performing and teaching Heather also does costume work for most of the companies she works for as well for this show and her own company. She is also certified in hatha vinyasa yoga. Danny Buraczeski set his classic piece Swingtime Concerto through a grant from American Masterpieces: Dance – College Component, AMDCC. “The American Masterpieces: Dance – College Component (AMDCC) is designed to foster appreciation for seminal artists or works in American dance history and creativity. The AMDCC brings classic American dances of the past century to college students and audiences in communities across the nation.” This initiative is in partnership with the New England Foundation of the Arts, NEFA and the NEA. Buraczeski is best described as a classic jazz dance stylist, whose company has performed at leading concert halls and festivals in more than 30 states, in Europe and the Caribbean. Propelled by the rhythms of jazz, Buraczeski’s formal explorations and sophisticated musicality distinguish him as one of the most original voices working in the form. JAZZDANCE delivers “simply the most ebullient, dynamic and all-out energy-sapping dance around,” says The Minneapolis Star Tribune. “Downright terrific,” says The New York Times. Drawing on a background in ballet and modern in addition to jazz, Buraczeski has helped redefine what was once considered a limited form – jazz dance. After a career on Broadway, appearing in such musicals as “Mame” with Angela Lansbury and “The Act” with Liza Minelli, Buraczeski formed the original New York-based JAZZDANCE by Danny Buraczeski in 1979. That company performed at leading concert halls and festivals in more than 40 states, in Europe, Russia and the Caribbean. His work has been commissioned by the Walker Art Center, the Bates Dance Festival, Jacob’s Pillow, the Joyce Theater and the Library of Congress among many others. A classic jazz stylist, he has received multiple fellowships from the National Endowment for the Arts and is now an Associate Professor at Southern Methodist University in Dallas, Texas. Kyle came to Bates twice in September 2007 to choreograph a work for the outdoor Orientation celebrations on Sept 4th and for theater performance in the theater for Parents weekend and the Fall Concert. He was a soloist with Nikolais/Louis Dance Company (1992-1999), prior to working with Mark Morris Dance Group (1998-2003) and Erick Hawkins Dance Company. 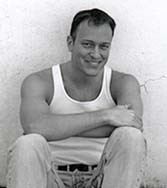 Kyle earned his MFA from the University of Washington and taught in the Dance and Drama departments there from 2000 – 2005. He has been a guest instructor at numerous colleges, universities and workshops across the country and overseas. Kyle also teaches in the Dance Department at Marymount Manhattan College and is a 2007 Guest Artist at Wesleyan University. Kyle’s choreography has been presented internationally, including commissions by Kaatsbaan International Dance Center, Symphony Space, The Dancenow/NYC Festival, Cornish College of the Arts, University of Washington Summer Arts Festival and the Museum of Glass: International Center for Contemporary Art. He has received awards from Concours Internationale de Danse de Paris, Walter Chapin Simpson Center for the Humanities and the Washington State Arts Commission, among others. Jennifer Nugent is originally from Miami, Florida, where she had the pleasure of performing with Gerri Houlihan & Dancers and Mary Street Dance Theatre. She shared artistic direction with Barbara Sloan in Duo Da Da Dance Theater. While in New York, she has worked with Shen Wei, Lisa Race, Nina Winthrope, Yin Mei and Daniel Lepkoff. She has been working with David Dorfman Dance since 1998. Her own work has been presented at Danspace Project’s Food for Thought at St. Mark’s Church, Dixon Place, SUNYPurchase, Ohio State University, Dance Space Center’s Raw Materials, Moving Current (Tampa, FL), Manhattan Theatre Source, the Thalia Theatre at Symphony Space, and George Washington University. Jennifer teaches widely. Most recently she was a guest artist at Dance Space Center, NYC and The North Carolina School of the Arts. Jennifer has also taught at Hollins University, George Washington University, Ohio State, and NYU Tisch School of the Arts. She is currently on the faculty of the American Dance Festival in Durham, NC. Paul Matteson received a New York Dance and Performance Award (Bessie) in 2002 for performance. Originally from Cumberland, Maine, he graduated from Middlebury College where he studied with Penny Campbell, Andrea Olsen, and Peter Schmitz. He has been a member of David Dorfman Dance since 2000. He also works with Race Dance, Peter Schmitz, Creach/Company, and Keith Johnson. His choreography has been shown in New York at The Thalia Theater at Symphony Space, Dance Theater Workshop, The DanceNow Festival, Joe’s Pub, Dixon Place, Judson Church, St. Mark’s Church and in Vermont at Middlebury College and Flynn Space. He teaches regularly at Dance Space Center and he is on faculty at The American Dance Festival. He has been a guest artist at Middlebury College, The University of Utah, and Hollins University. His piece, “As you are,” created on Middlebury College students, was selected to be performed at the National ACDFA at the Kennedy Center in June, 2004. Judkins is a unique inspirational speaker and has presented his original, interactive programs on humor in our lives, change, stress, self concept and teamwork for numerous professional groups, schools and companies in over 25 U.S. states, Canada and Europe. Mr Judkins has appeared in a handful of television commercials and independent films in his native state of Maine. Randy has instructed at the Ringling Brothers Barnum and Bailey’s Clown College in Florida, and has served as a character consultant for Tri-Star Pictures and a Circus of the Stars trainer in Hollywood. The Juilliard School of Drama in New York City hired Randy to teach a series of master classes in character and physical comedy. In 2002, he founded the comedy trio, the Maine Hysterical Society. They have been called ‘The best variety comedy act in New England’. Their Downeast characters perform comical songs and sketches about Maine. In July of 2008, MHS performed with Lucie Arnaz at “Birdland”, the legendary Jazz Club in NYC. In the summer of 2005 he gathered sponsors and raised over $1200 for the Boys and Girls Clubs of Greater Portland by running in the Beach to Beacon 10K Road Race while juggling three balls the entire 6.2 miles. He finished the race in under an hour and he did not drop a ball. In 2010 he held a visiting artist position at Stephens College in Missouri teaching circus arts, mime and comedy for 7 weeks to dance and theater majors. Randy served as Master of Ceremonies twice for the Patrick Dempsey Challenge Banquet for Hope and Healing, and cycled the 100 mile course the next day. Sarah McCormick received her BA in World Arts & Culture from UCLA and her MFA from SUNY Brockport. She is currently Associate Professor of Dance in the Department of Visual & Theatre Arts at The University of Tennessee at Martin (2008-present). Previously, she had positions as Lecturer of Dance at Bates College, University of Southern Maine, and as Adjunct Lecturer at SUNY Brockport. While in Maine, she created various works, which were performed in Portland and Freeport. Her choreography embodies a World-dance approach, as she combines her intensive Western modern dance-theater training with her explorations in Indian, Balinese, Japanese, and African movements. She studied ballet with Ballet Russes de Monte Carlo master teacher, Irina Kosmovska at Lichines Ballet Studio in Los Angeles, and with ballet master in Cecchetti Technique, Mia Slavenska, while as a student at UCLA. Her studies in modern dance begin at Eyes Wide Open studios in Venice, CA, with teachers Fred Strickler, Lynn Daly, and Gary Bates, it was also there that she took from Jeff Slayton, former Cunningham Dance and principal dancer of Viola Farber Dance Company. But it would be with modern dance masters Bella Lewitzky and Alwin Nikolais, in addition to her studies in modern dance at UCLA that would further Sarah’s approach towards technique, choreography, and pedagogical style. Jodi Melnick graduated from SUNY Purchase with a BFA in Dance. She has been a featured dancer with Twyla Tharp, and Irene Hultman. Currently, she performs and works with Susan Rethorst, Sara Rudner, and Vicky Shick, and over the past 13 years, has worked with NYC based freelance choreographers Tere O’connor, Dennis O’connor, Donna Uchizono, Yoshiko Chuma, and Yves Musard. 2002, she began working with Trisha Brown as an assistant director on Schubert’s ‘Winterriese’, continues to re-stage the work, and has appeared as a guest performer in the Trisha Brown company. As a teacher, Jodi has taught master classes, technique, and workshops throughout the US, Europe, Australia, Russia, and Asia. Her gift as a teacher has been to translate movement into a format accessible to all bodies and all disciplines. Her choreography has been shown in NYC, Japan, Ireland, Estonia, and Russia. Her most recent work, spring 2003, a solo commissioned by Jenny Roche and Temple Bar Properties, Dublin. Ireland, and, September 2004, a duet for Roche and Nicola Curry, Belfast. This fall, 2005, Ms. Melnick will present her work at Dance Theater Workshop, NYC. Fall 2003, Graz, Austria, Ms.Melnick was part of a new Opera based on David Lynch’s ‘Lost Highway’, singing (mezzo soprano), again performed in Basel Switzerland, Spring 2004. In 2001, she was honored with a Bessie award for sustained achievement in dance. Curran began his dance training with traditional Irish step dancing as a young boy in Boston. He went on to make his mark on the dance world as a principal dancer with the Bill T. Jones/Arnie Zane Dance Company. A graduate and guest faculty member of New York University Tisch School of the Arts, Curran was an original member of the New York City cast of the Off-Broadway percussion extravaganza “STOMP!” performing in the show for four years. He has performed his solo evening of dances at venues throughout the U.S. as well as at Sweden’s Danstation Theatre and Creteil’s Exit Festival in France. Curran has choreographed new dances for Denmark’s Upper Cut Company, Pittsburgh’s Dance Alloy and Dublin’s Irish Modern Dance Theater among others. Curran choreographed James Joyce’s The Dead for The Playwright’s Horizon production that opened on Broadway in January 2000. He has been awarded a Choreographer’s Fellowship from the New York Foundation for the Arts. Curran has taught extensively at the American Dance Festival, Harvard Summer Dance Program, Bates Dance Festival and the Boston Conservatory. Ovares, director of the National Dance Company in San Jose Costa Rica, is renowned internationally as a choreographer, actor, teacher, and dancer. He began his dance career while getting his degree in Dramatic Arts from The University of Costa Rica. Mr. Ovares’ choreography has been featured in Europe, Canada, Israel, and Central America. He has also performed with The Contemporary Ballet of Barcelona, the choreographers Cesc Gelabert and Ramon Oller in Barcelona, Spain; with Pilottanzt in Vienna, Austria, and with Tanztheater Theaterhauses Stuttgart, Germany under the direction of Johann Kresnik and Ismael Ivo. Carlos Ovares has won awards from the Ricard Moragues Choreographic Competition 1993 in Barcelona, Spain; the VIl Madrid Contemporary Dance Competition Madrid, Spain; the National Costa Rica Award in 1994 for the year of 2003-2004. Gina Fatone is an associate professor at Bates College and teaches with the Music Department and Department of Asian Studies. Fatone received her PhD in ethnomusicology from the University of California, Los Angeles. She teaches courses in ethnomusicology, world music, music and mind, and is the director of the Bates Gamelan Ensemble. Her research interests lie in the intersection of cognitive science and musical experience; including music, gesture, and embodied cognition in music learning and transmission; and the psychology of intercultural music experience. Keigwin has choreographed and performed for Broadway, Off-Broadway, and numerous Dance Companies. He is the Artistic Director of Keigwin + Company and the Creator of Keigwin Kabaret. From 1997-2000, he was the Associate Artistic Director of Dendy Dance & Theater, and received a Bessie Award for his performance in “Dream Analysis”. Keigwin’s Choreography has been presented by The American Dance Festival, Bates Dance Festival, Summerdance Santa Barbara, Joyce SoHo Presents, California Institute of the Arts, Zenon Dance Company, NYU/Tisch School of the Arts, Kaatsbaan International Dance Center, and various other theaters around the country. Oakes holds a BA in Anthropology and a Secondary Concentration in Russian Language from Bates College and a MA in Dance and Dance Education from Teachers College, Columbia University. She is a faculty member at Iona College, where she is also the resident guest artist for the Iona Dance Ensemble. She is a teaching artist for New York City Ballet’s Education Department, bringing ballet, creative movement and choreography to public school children. Alison is the co-founder and director of Summerdance Intensive in New Jersey, which is a two-week dance program for high school students. She has co-produced performances at Merce Cunningham and Williamsburg Art Nexus (WAX). Her work has been presented in New York at 92nd St. Y, Joyce Soho, Riverside Church, Merce Cunningham Theater, WAX, Columbia University and Iona College. Most recently she took part in a performance in Bergen County, NJ which was featured on Dance Vistas, a show on NY and NJ public television. Diane McCarthy has been teaching, performing and choreographing throughout the U.S. and Europe for over twenty -five years. Her work has been presented in Holland, Spain, Washington, New York and Canada where she travels yearly to give workshops and choreograph. She has been on faculty at various colleges and universities around the United States including Manhattanville College, Hofstra University, Marymount College and Bates College in Maine. Presently, Diane is in the Arnold Graduate Dance Education Program at Hunter College working to receive her masters in dance education. She now will be teaching Simonson technique at several studios in New York including Gibney Dance, Peridance Capezio Center and the Mark Morris Dance Center in Brooklyn. Munisteri is a NYC-based choreographer whose dance ensemble performs regularly in New York, at summer festivals, and at dance venues around the country. He has created dances for Pennsylvania Dance Theater, Danceworks Performance Company (Milwaukee), and for many college dance companies and has received commissions and funding from Performance Space 122, Danspace Project, the Joyce Theater Foundation, and Jacob’s Pillow Dance Festival. He recently received two consecutive major grants from the Jerome Foundation for the creation of new works.